Every year, we travel nearly 10,000 miles to personally select diamonds in Antwerp for our customers and for stock in our store. With our connections overseas, we are able to cut out the middleman, and save money in the process. With this elite service, we extend these savings to our customers, and we are able to get access to the best selection of diamonds in the world. Antwerp, Belgium is where 60-80% of the world's diamonds arecut and traded, and is known as the "Diamond Capital of the World". 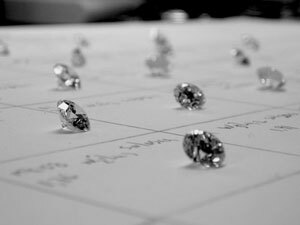 We will be in contact with you from the cutting houses in Antwerp as we search for Your Perfect Diamond. We will be sending you videos and phone calls to make sure you are part of this wonderful experience. Stop in today and see why the Antwerp Advantage is your best advantage. Not getting engaged soon? YOU dont need a diamond right now? But you know someone who does? If you refer someone to PK Bennett Jewelers and they purchase an Antwerp Diamond, you will receive a $250.00 American Express Gift Card. Click on this link to inquire about our Antwerp Diamond Experience. Watch this video to see why we bring home the most beautiful Diamond for you! When it comes to loose diamonds, you won't find a better selection, better quality or better price anywhere. If within 30 days of your purchase, you find a loose diamond anywhere in the United States with the same specifications, graded by the same gemological laboratory and at a lower price. PK Bennett Jewelers will beat the price by 10% of the difference. If unable to beat the price, we will refund your money. We proudly comply to the Kimberley Process, which prevents conflict diamonds from entering the diamond trade, and by doing so, we are able to import conflict-free diamonds into the United States.